I remember my mom buying me Peel Slowly and See upon request at Vinyl Solution as a birthday gift. I was turning 17. Why did a teenager in 1996 want a VU box set? I had known of the band for several years, due to voracious Rolling Stone consumption. But it was chance that allowed me to love them. My friend Audrey’s older sister had abandoned a cassette of VU and Nico when she went off to college. I found it and asked if I could borrow it, since I knew it was supposed to be good. I remember driving away from her house in my Jetta as the first notes of Sunday Morning bleeped out of the speakers. The love affair happened quickly; I was immediately taken with it and it didn’t leave my car for a long time. As with the Joy Division box I reviewed earlier, listening to 5 discs of VU madness for the purposes of the project is actually quite a haul. The first disc of demos is a slog. It’s interesting to hear the progression of a song’s development, but I think these days box set editors would have had their way with it and wouldn’t have filled a whole disc. I would say I’ve listened to VU & Nico the most; it’s an amazing album. The sense of chaos and drama is presented so beautifully. Lou Reed is not a great singer, and Nico is an acquired taste, but it works. All Tomorrow’s Parties, I’ll Be Your Mirror, and Heroin are my favorite tracks. The live bonus track Melody Laughter is also pretty amazing. A cacophony of noise eventually evolves into a full fledged song. The patience it takes to do that over the course of 10 minutes is underrated. I’ve spent some time with White Light/White Heat as well. The Gift and Lady Godiva’s Operation are interesting experiments in context, and I do listen to them when they come on, but I don’t think they’ve held up all that well. The really explosive and impressive track has to be Sister Ray, though. I was reminded to go back and enjoy it a couple years ago when I saw Brick in the theater. I loved the film, and then when the movie ended with a bang rather than a fade-out, the next sound I heard as the credits started to roll was Sister Ray. It was brilliantly used in the context of the movie, and is excellent for the credit roll since it’s so long. The funny thing is that I never feel like it’s too long, even though it’s an astounding 17 minutes. I just let it wash over me and sing along. More recently, I’ve often listened to their third album, The Velvet Underground. Except for the odd experiment The Murder Mystery, this album is very poppy, accessible, and almost gospel in nature (See I’m Set Free, Jesus, Beginning To See The Light). I love Some Kinda Love, Pale Blue Eyes, and Foggy Notion as well. 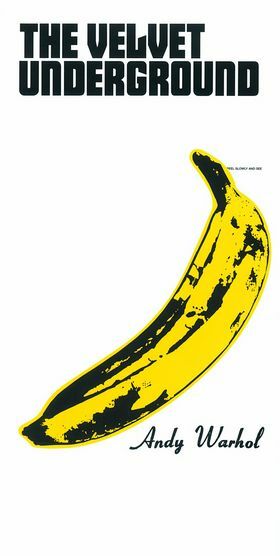 I can forget I’m listening to the Velvet Underground sometimes. Speaking of poppy, their fourth album Loaded betrays its 1970 birth. It sounds very 60s to me, with all the ba-bas and such. I haven’t listened to it as much as I should have. Needless to say, I’m really glad I found that abandoned tape that day. It changed my musical life for the better.